Product prices and availability are accurate as of 2019-04-05 20:49:58 EDT and are subject to change. Any price and availability information displayed on http://www.amazon.com/ at the time of purchase will apply to the purchase of this product. 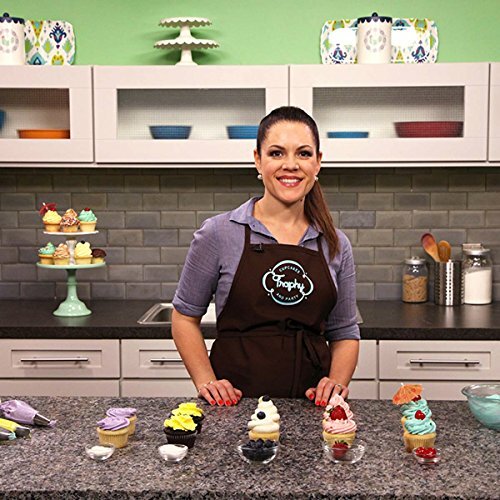 Bake and decorate scrumptious cupcakes every time with Trophy Cupcakes owner Jennifer Shea. Make your cupcakes moist and flavorful with fruit layers, such as caramelized pineapple or a blueberry reduction. Create s'mores cupcakes with graham cracker crusts, luscious lemon cupcakes with shortbread cookie crusts and even blueberry pie cupcakes bursting with bright flavor. Fill luscious lemon meringue cupcakes with lemon curd, and chocolate cupcakes with lavender pastry cream. Whip up Trophy's famous buttercream, and use it to frost your cupcakes by hand, roll your cupcakes in sprinkles and decorate them with perfectly piped swirls. 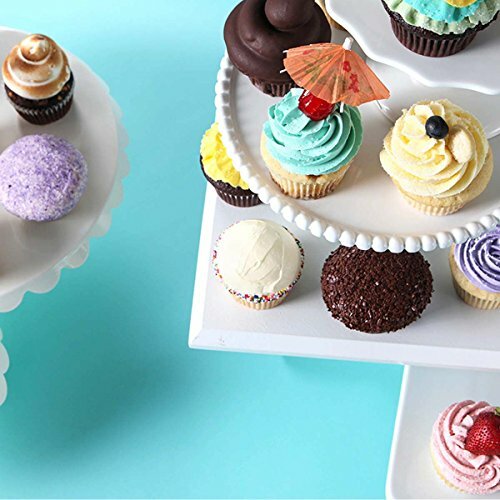 Plus, amaze your clients with hi-hat cupcakes, lavender crème brûlée cupcakes and more. Deliver incredible cupcakes that make sweet dreams come true. Meet your instructor, baker and cupcake shop owner Jennifer Shea, and get started baking the perfect cupcake! 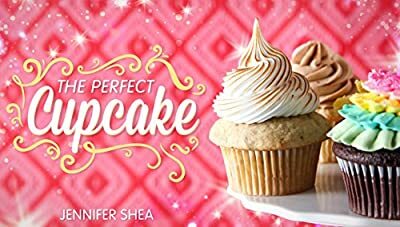 Jennifer will walk you through her famous vanilla cupcake recipe, pointing out proper technique and pitfalls along the way. You'll gain invaluable tips not only for mixing your batter, but for portioning and baking too! Never again will your cupcakes be tough, dry or underdone! Take your cupcakes to the next level by adding real fruit flavor. Learn three different methods for adding fruit: mashed into the batter to make moist banana cupcakes, caramelized and layered on the bottom to make delicious piÃ±a colada pineapple cupcakes or cooked into a berry compote using fresh or frozen berries to capture the taste of summer! Create cupcakes with crunch as you learn three different crusts to pair with your baked sweets. Learn the importance of and secrets to parbaking as you create a sweet graham cracker crust, a tender shortbread crust and a flaky pie crust. Pick up shortcuts for adding a textured base layer, even when you’re short on time! Then, learn how much batter to add before baking your crusts and cupcakes to perfection. Discover delicious, sophisticated fillings as you make a mouth-watering caramel, a sweet and tart lemon curd and a refined lavender pastry cream. Master techniques for cooking sugar, tempering eggs and creating a silky-smooth custard. Then, Jennifer demonstrates four different ways to hollow out and fill a cupcake, all using tools you may already own! Master Trophy Cupcake’s delicious signature buttercream. Learn how properly whip it up into a fluffy “cloud,” as well as how to color and store buttercream if you’re making it in advance. Finally, explore the delicious flavor variations you can create by adding extracts, fresh vanilla beans or even melted chocolate! 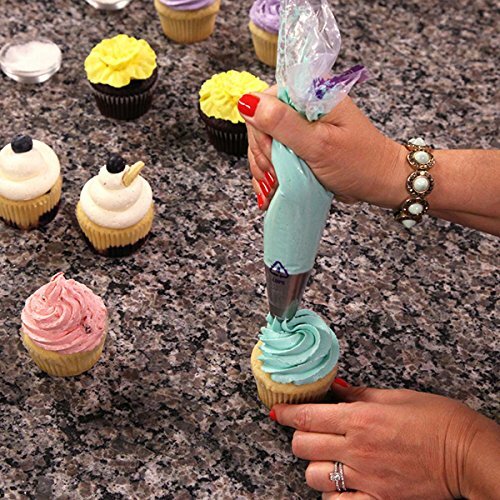 Learn several easy methods for achieving professional-looking results as Jennifer demonstrates how to frost your cupcakes by hand or using a pastry tip. Learn how to edge your cupcakes with sanding sugar or sprinkles, how to make domed cupcakes by hand or by rolling in sprinkles and how to tint sanding sugar any color you can image. Then, gain confidence using a piping tip to create low and high swirls as well as rosettes and ruffles! Delve into advanced decorating techniques as you learn how to toast meringue swirls and make truly creative hi-hat cupcakes topped with a swirl of silky meringue and dipped in rich chocolate ganache. You’ll learn the proper method as Jennifer shares her tips and advice for keeping your hi-hats in place. Then, learn Jennifer’s own method for making crÃ¨me brÃ»lée cupcakes, complete with a baked custard layer topped with crisp caramelized sugar!